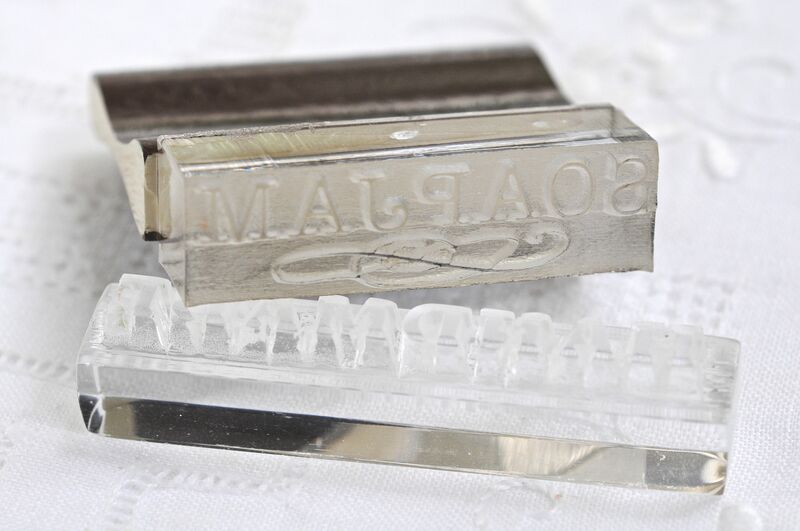 From the very start, I’ve always wanted a custom soap stamp. 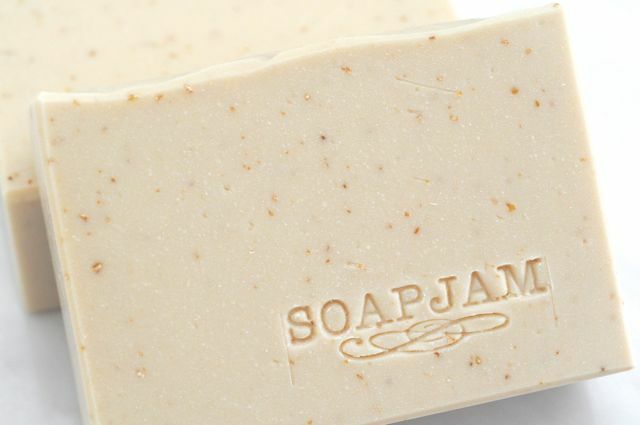 I think it adds that extra touch to the look of the soap, and is a great way for branding and personalising. I used my “handmade” stamp for only a few months. This year, I had two new stamps made with my logo. One is for my all-natural line (will post about that in the future), and featured below, is the general all-around stamp. The first few batches I stamped didn’t produce very clean impressions. Then I remembered Modern Soapmaking’s tutorial wherein Kenna stamped her soaps immediately after cutting, and used a rubber mallet to whack the stamp. I didn’t think the mallet would make a big difference, but it did the trick! I only had a metal mallet, though. Thankfully, nothing happened to the stamp, even with its flimsy makeshift wooden handle. This entry was posted in Cold Process, Others and tagged give-away, soap stamp on March 1, 2014 by soapjam. I’ve always wanted a custom stamp, but the thing is I still don’t have a professional logo. That’s what has been hindering me from ordering one. But, yours looks great, I love it. Where did you have it made? Locally, or via internet? I can’t wait to see you’re up to next! Arriving at a logo you’re totally happy with can be a long process. But as long as you have a name, you can change the design as you go along. I stamp has been on my want list for awhile now. I just haven’t been able to justify the cost. Your stamp looks awesome! I’m also interested in where you had it made. I had my stamp made locally. They don’t even have a website. 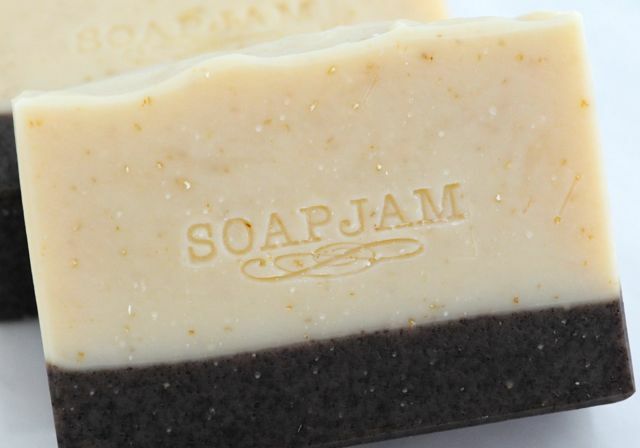 Actually, I think any business that makes signages, trophies, and award plaques can make a soap stamp. Happy early anniversary Silvia!! Your soaps were already so beautiful but with the stamp on it, it just takes it that next level. Hahaha! I was so horrified when I saw the typo. Your soap stamp looks so delicate with the swirl. 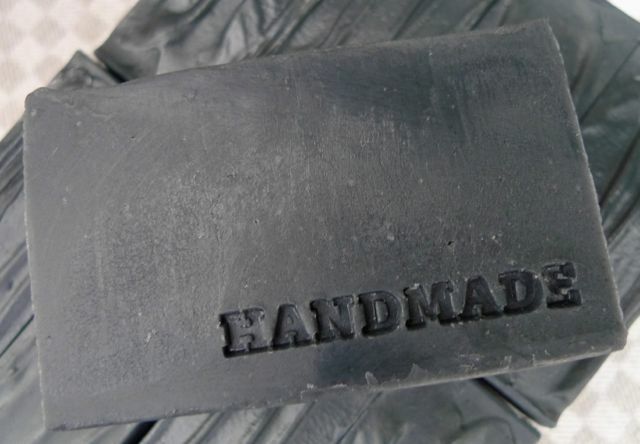 I have never used a soap stamp and because I make soaps just for me and my family I don´t think I need them. But the soaps look much more “professional” when you stamp them. I like both stamps Silvia! Soaps look so elegant and special. I am really impressed how you developed your soaping skills within one year! 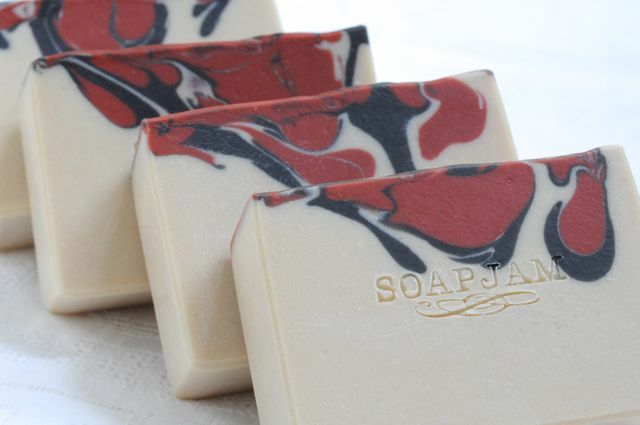 Looking at the pictures of your soaps made lately, with your custom stamp, I can only say that they are the most beautiful soaps I’ve seen lately. Congratulations and I whish you continuous progress in the future! I love your new stamp! Amazing what a difference a few whacks with a mallet can make. ;D Also congrats at nearing your 1 year anniversary! Beautiful soap stamp, Silvia, and beautiful soaps! Love your new stamp. I agree a soap that is stamped looks so elegant. 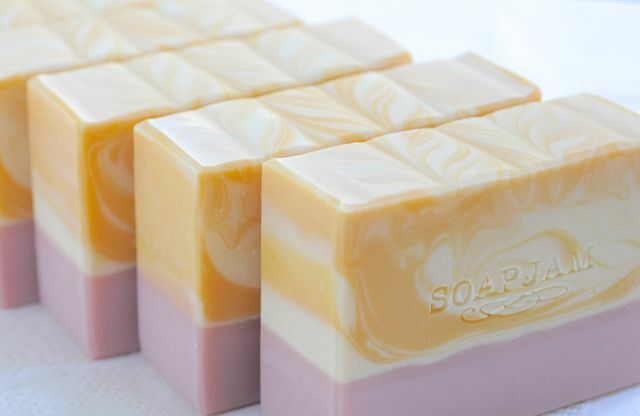 And I adore your Citrus berry soap, purely gorgeous! Congratulations in advance on your first soaping aniversary, Silvia! 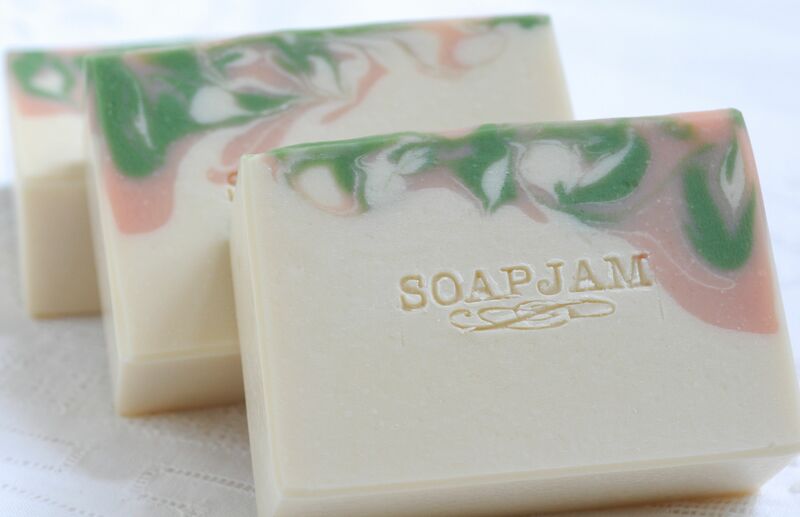 Your soaps look beautiful and the stamp gives them that final touch which makes them look really special. 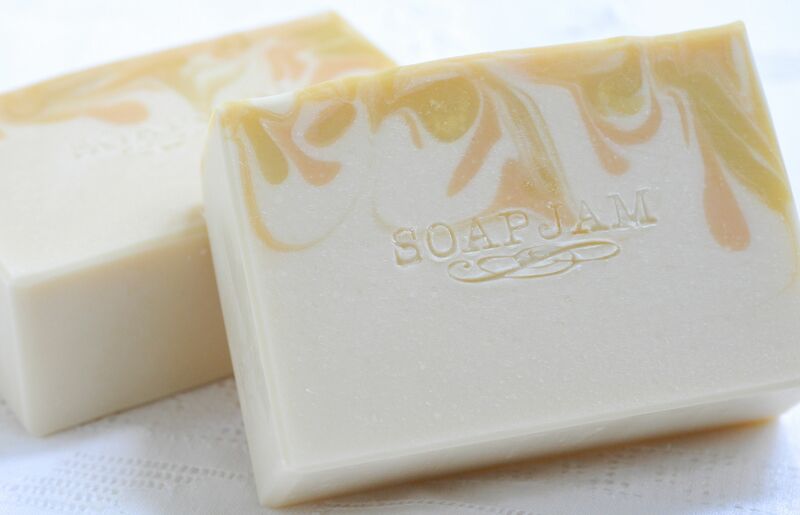 All the soaps above look great but my favourite is Peach Sunset – I love the soft colors and gentle swirl! You may need to give it a day or so before stamping. Have you tried using a mallet? I didn’t think it would make a difference, but it really does make a cleaner and better impression. hello! (: i love these handmade soaps! the colour swirls and shapes are so artistic. i bet they smell amazing too! the citrus berry looks something like desserts we call ‘kuih’ here in Malaysia! thank you for following my blog(: it means so much! thank you for checking out some stuff on my blog (: i have a new painting coming up! yes, i am actually pretty interested as to how you go about it! 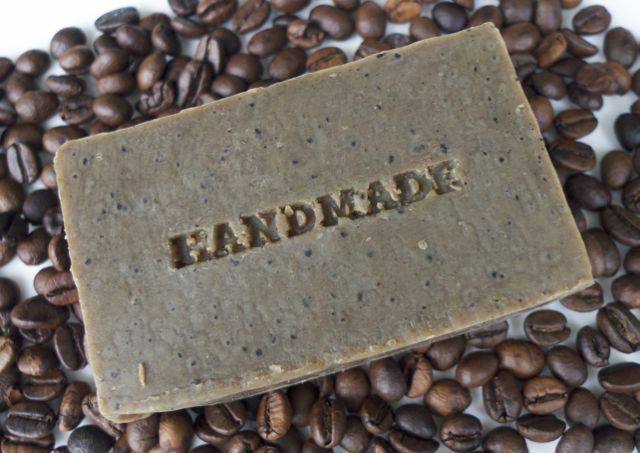 i haven’t seen a blog dedicated to soaps and soapmaking, it’s so amazing that you have one! Hi there, I really love your ‘Handmade’ stamp, it’s rustic looking! But your new stamp is beautiful too! Love the look of your soap. The stamp looks amazing too.